I really don’t have anything to say about the horrible tragedy that befell Dolphins fans everywhere on Sunday.Â The defense embarrassed the team and the fans and the Jets are getting three Pro Bowl type players back in the next few weeks. So I am going to cry myself to sleep and you should check out the photos from the meet up at Third & Long below. If you want to download a photo just click it and it will take you to the Flickr page. This is it. This is the game I have had my eye on since the schedule came out. Primetime game against our most hated rivals. Our first home game and a chance to shut Rex Ryan up for a little bit. We are actually favored to win this game and most people are picking us, but I think we are really still underdogs. No one really expects Miami to be 3-0 headed to the MNF game vs New England… But I do. The Dolphins will be wearing Orange on Sunday and they are asking the fans in Miami to do the same. I am asking you guys also to wear Orange if you have it. I personally only have an Orange Seau jersey and I will not be wearing that, but I am pretty sure I have an Orange Dolphins shirt somewhere. Also the Dolphins Defensive players have been encouraging people in Miami to howl on big defensive downs. A Dolfans NYC regular named Yonathan led the charge on Twitter for this and it has steamrolled into something that should be pretty fun on Sunday. If anyone is going to the game make sure you Howl like crazy when the Phins need you. I am sure I will be doing some howling myself at Third and Long. Also, another reminder about tickets for the Jets/Dolphins game in Miami. We have already purchased more than 20 tickets for the game and we want to buy more but we need your money. The tickets are all 300 level endzone tickets, but we will all be sitting near each other. We are trying to buy three full rows. If you want tickets email DolfansNYC@gmail.com to find out how to pay for them online or bring me or Michelle $112 on Sunday at Third & Long. Lastly, I just wanted to thank everyone for the big crowds we have been having at Third & Long. It’s really great to watch the game and get crazy with fellow Phins fans. I know this game against the Jets is on TV and you can watch it in the comfort of your living room but this is a big game for us and we need you guys out. Let’s cheer our boys on together. I am not %100 sure but I think we will be doing a raffle this week as well. Should be a lot of fun. Okay, that’s it. I will see you guys out this Sunday night at Third & Long at 35th and 3rd ave. Go Dolphins! Glad to see everyone out last week! Third and Long was packed and everyone seemed to have a great time. Beating the Jills was great but this week we face a much harder task in the Minnesota Vikings and our old friend Bret Favre. The last time the Phins faced Favre I and some of the founding member of DolfansNYC were watching the Dolphins become AFC Champions. We had seats just a few feet from the field and we watched our boys trounce Favre and the Jests. It was great. This week unfortunately I have to be out of town for a funeral so I won’t be at Third and Long, but Short Michelle will and I am sure someone will step up and lead the bar in the “That’s Another Miami Dolphins… FIRST DOWN!” cheers. DolfansNYC has a very deep roster this year so I’m sure we won’t miss a beat. For those of you who have been asking we are temporarily sold out of Large and XL DolfansNYC t-shirts. There will be S, M and XXL shirts available on Sunday and I will have a new batch made up for the Jets game next Monday. 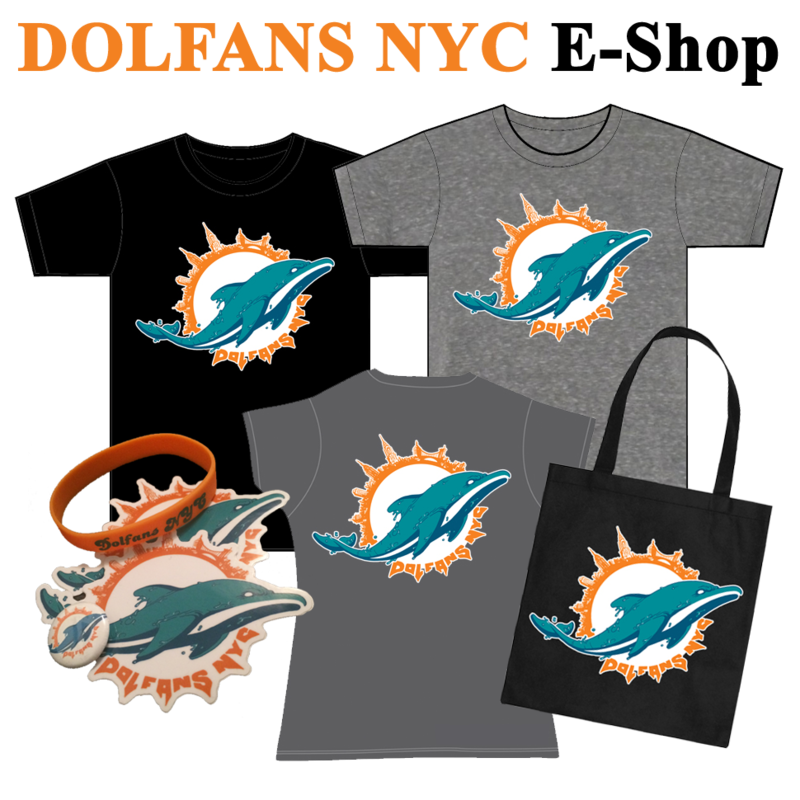 The T-shirt sales have been great and along with a few ads on DolfansNYC.com we have raised more than $350 for charity. People have also been asking about Jets Vs Phins tickets. We are planning on buying tickets as a group. We are going to be buying several blocks of 10 seats. If you want to come with us, please have cash in hand on Sunday or the following Monday. Michelle will be buying tickets during the games and she will need your money to reserve a seat. If you have any questions about tickets email her at dolfansNYC@gmail.com. My last order of business is a favor from the Dolphins. We work with the team a lot and are raising money for their charities. They hook us up with stuff all the time and are now asking a favor in return. They are trying to promote their new photo store. It’s a pretty cool to get great shots of Dolphins players in action. They are offering everyone a free photo just for signing up. Also whatever Dolphins fan website that signs up the most people will win a gift certificate to the store. If we win we will spend the money on picture for our fund raising raffles so take a second to sign up. It seriously takes less than 30 seconds and you get a free photo out of the deal. Anyway, that’s all I got for you this week. I hope everyone can make it out to Third & Long this week at 35th and 3rd. Ill miss you guys Sunday but I’ll see you next monday when we kill the Jets at home! Posted in Events | Comments Off on Pillage The Vikings! 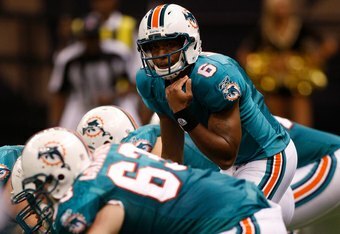 Free Photo from NEW Miami Dolphins Online Store! The Miami Dolphins have launched their official online photo store. For the first time in the teamâ€™s history, fans may visit the store and purchase official photos for home wall art, gifts or office decorations.Â The official photo store of the offers more than 150 images captured by the Dolphinsâ€™ official award-winning photographers. Photos including images of Dolphins players, game action, cheerleaders, special events and Sun Life Stadium are available. New photos will be added within an hour of the conclusion of each Dolphins game! For a limited time, YOU can go online and order your own FREE photo as a gift from the Miami Dolphins. Click here to check it out and sign up for your free photo. 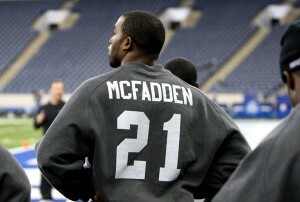 Posted in links | Comments Off on Free Photo from NEW Miami Dolphins Online Store! Thanks to everyone who came out last week. The place was packed! It was almost too packed and unfortunately there was a line to get in during the first quarter. Luckily everyone who waited got in after a few minutes.Â Third and Long has told us they were going to make sure they are going to stream line everything and make sure our people are well taken care of. It’s pretty clear the bar was happy with how many people came out. The game was amazing too. I know the Dolphins offense was sloppy but the defense looked amazing and there were lots of moments for the crowd to go nuts… which we did. I love Third and Long so much. Curtis the manager is amazing and the bartenders are super cool.Â Even the non Phins fans are great. The “Brew Crew” are the regulars who sit at the bar and bet on EVERYTHING including the color of the bartender’s underwear.Â There is plenty of NFL betting going on too though if you want to get in on that action.Â Anyway… the place is home and we love it. Being recognized by the Dolphins as the official fan club of NYC Phins fans is that we work with the team as much as possible.Â They hook us up with stuff and soon they are going to send us some autographed stuff to raffle off.Â We are trying to raise $1000 for the Miami Dolphin Foundation this year and we have made a pretty good start so far raising $300 with ad revenue on the site and selling our DolfansNYC t-shirts.Â Some of that money is going to go to some of the costs associated with running this club but every other penny is going to charity. The Phins also wanted us to tell you guys about the team photo store. Michelle will talk about it more in another post this week, but for now just check it out. It’s a pretty cool thing and you can get a free picture. Now, the important news from this update. We got pictures! I try to take pictures every week and I took a bunch from week one. Check out the slideshow below.Â And just click on it if you want to download any of the pictures. Now I am off to watch the Jets lose to the Ravens. Go Dolphins! Posted in Photos, Recaps | Comments Off on Week 1 Pictures! If you have not been to 3rd and Long before here is some info. The bar is located on the Southeast corner of 35th and 3rd in Murray Hill. The closest stop is the 6 Train at 33rd and Lexington. There will be drink specials if you wear Dolphins gear and while the bar does not serve food, you are encouraged to bring you own. There are a lot of good places to eat right around the bar and Third and Long as binder full of delivery options. It’s always funny to see a delivery guy deliver to a bar. This year we have been asked by the Miami Dolphins to raise money for the Miami Dolphin Foundation charity. Our personal goal is $1000 but I would like to see us raise $1500. We have already raised $100 by selling an ad on the DolfansNYC website, so we only have $900 more to go to reach our goal. We will be doing raffles like we did last year at a number of the games. We aren’t doing on this week but we will be selling DolfansNYC t-shirts for $15 with half of the money going to charity and half of the money going to DolfansNYC so we can do things like pay for the shirts, promote the club and buy stuff for the raffles. If you have any ideas for fundraising let us know. Lastly Michelle recently got a job working for Showtime Sports. This is a bit of a good news/ bad news thing for us at DolfansNYC. Obviously the good news is that Michelle got pretty much her dream job. The bad news is that she might not be able to be at all of our events and help out as much as last year. But the other good news is that this week she is going to be filming 3rd & Long for a Showtime Sports feature on NFL Fans in NYC. So come out this Sunday and we will make you famous! Not sure if I have any other news for you guys, but this should be an exciting year. I think the bar will be packed with Dolphins fans. I will just show you guys one other thing. If you haven’t been to 3rd and Long for a DolfansNYC event, here is a YouTube video we filmed last year that gives you a little bit of look into what DolfansNYC is all about. Posted in Events | Comments Off on Are You Ready For Some Football? !